Through briefly dabbling with coding to build a simple website to showcase his photography, Tim discovered an interest for web development. It wasn’t till a few years later when Tim faced the need for a career change that he decided to take on the challenge of learning to code. 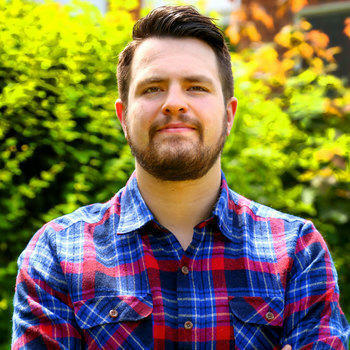 Inspired by Treehouse’s mission, Tim signed up and began learning. After a year of working through courses, applying his skills to projects and building his portfolio, Tim landed a job as a full-time junior developer at a digital agency. Today Tim is still learning as often as he can with the aspiration of being the best developer he can be. But most importantly, Tim is now able to embrace the rewarding experience of enjoying going to work every day. There is a very small percentage of people that enjoy going to work and believe me when I say it is an amazing feeling when you are one of those people. I first got interested in web development when I needed to build a website for my photography. I didn't really know what I was doing and I remember thinking CSS was a total mystery! I thoroughly enjoyed the whole process despite not knowing very much, but I didn’t do much coding after I had finished the site. A few years later I was stuck career wise and I wasn't too sure what to do with myself and time was ticking on. By pure chance, I was on YouTube and an advert for Treehouse popped up. I was really taken in by it and had a strong gut feeling that it was something I should look into. I remember it was Ryan and Nick talking about the mission of Treehouse and what you could learn and achieve. I signed up that day, and it was the best decision I've ever made. I was totally hooked. I commonly spent 14 hours at a time trying to build things and learning from Treehouse. I joined in May 2014 and it took me a year to get to where I am, which is much sooner than what I initially thought. I am now a junior developer for a digital agency and without Treehouse, I don't know whether this would have been possible. Treehouse has been a completely invaluable resource to getting me to where I am today. My ambitions for the future are to work for Google one day or start my own digital agency. But I want to just take things as they come for now and learn everything I can do to become the best developer I can be. Oh and learn mobile app development, I've always wanted to do that! For any people who are working towards becoming a developer the main advice I would give to you is to keep going. It will be more than worth it in the end! I had a lot of obstacles on the way. I lost all my savings as I had a part time job so I could have time to learn. If you have a goal don't get disheartened when things get tough just push through and you will reap the rewards when you get there. There is a very small percentage of people that enjoy going to work and believe me when I say it is an amazing feeling when you are one of those people.